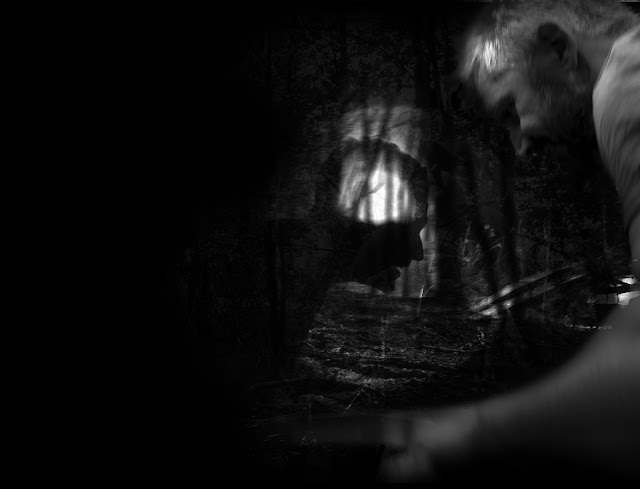 Rongwrong is represented by Maciek Piaseczynski – creator, collector of observed sounds, graphic designer. He has collected surrounding sounds for many years. Exploration of places and stories around them became artistic inspiration. 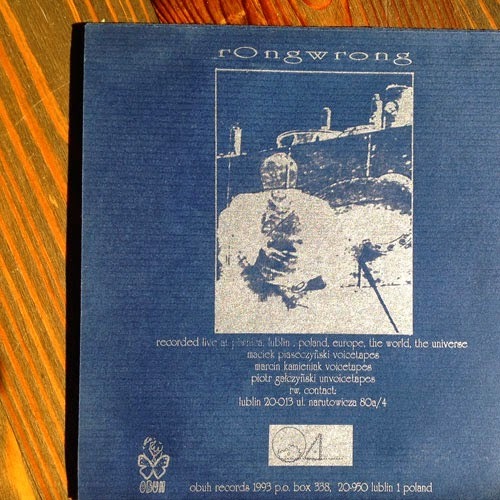 Rongwrong was created in 1990 in Lublin, a city of eastern part of Poland. The founders were Maciek Piaseczynski, Marcin Kamieniak and Piotr Galczynski. The name refers to Dadaist periodic of Marcel Duchamp. Rongwrong activities concentrated around experimental electro acoustic music. The first stuff executed was industrial music based on processed sounds of instruments and sounds generated by prepared tape-recorders, the so-called Voicetapes. The project was inspired by kinetic art. 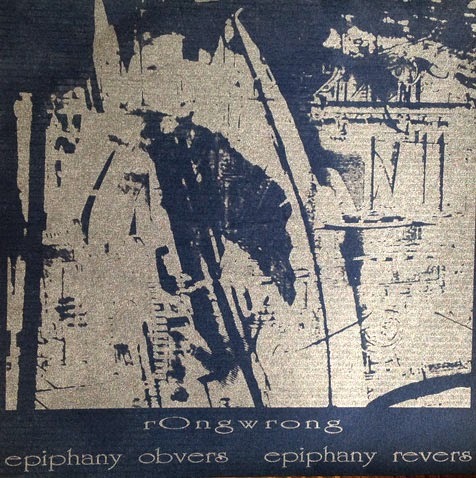 The result – Epiphany – was issued by Obuh Records. The next step of musical quest started from recordings of ‘Skupiska’ – electro acoustic sound collage based entirely on recordings of the surrounding and prepared radio. The recording was released in the USA by RRRecords in 1993. There had been many sound impressions created at that time which were background to video installations and multimedia happenings. 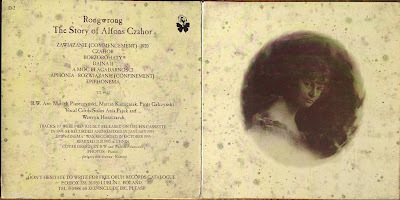 In 1995 RW started working on the next project – Story of Alfons Czahor. 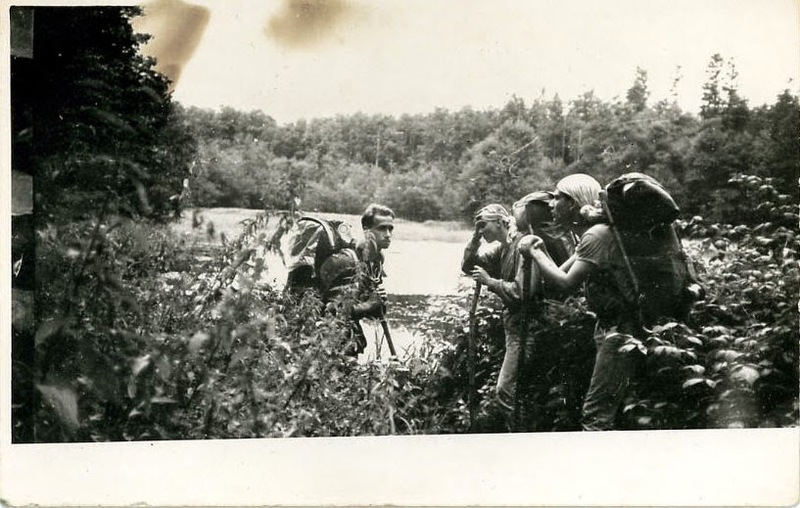 The sound elements for the project had been collected during journeys to eastern Poland. The realization of the album was based on the recorded and transformed sounds of nature and folk songs. It was inspired by the legend of the mysterious figure of Alfons Czahor. 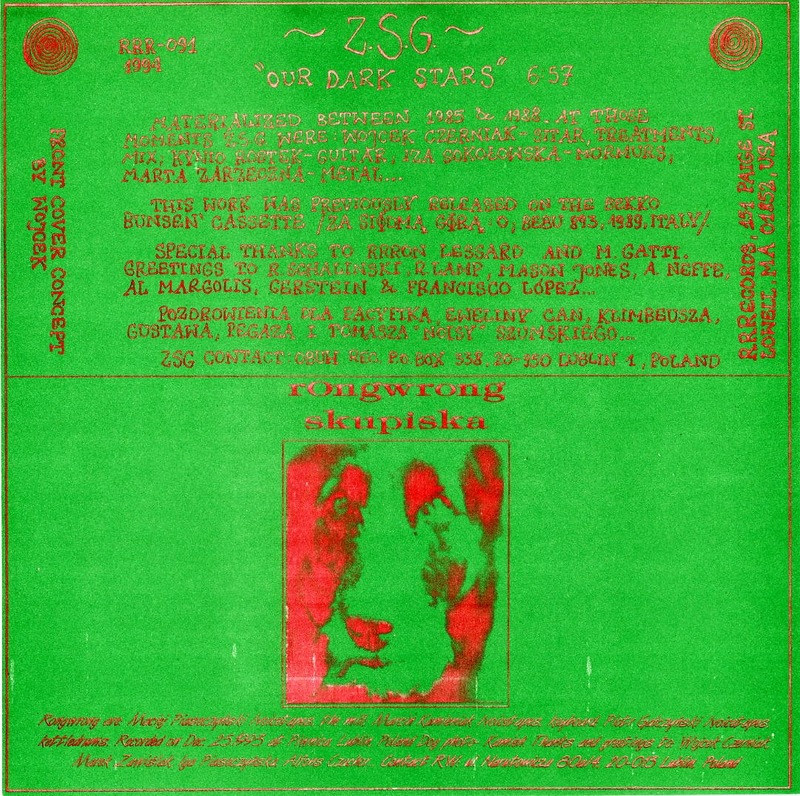 And the result was a spiritual sound story like a ritual set in folk of eastern Poland. The recording was issued by Obuh Rec. The project has been presented at many concerts in Poland and abroad. Copyright Maciek Piaseczynski. Motyw Okno obrazu. Obsługiwane przez usługę Blogger.